Located in a verdant and flourishing garden, the hotel includes six independent structures covered with local stone. Thirty-eight elegant rooms are available for unforgettable stays. On the ground floor are the rooms with patio, while the first floor houses the rooms with terrace. 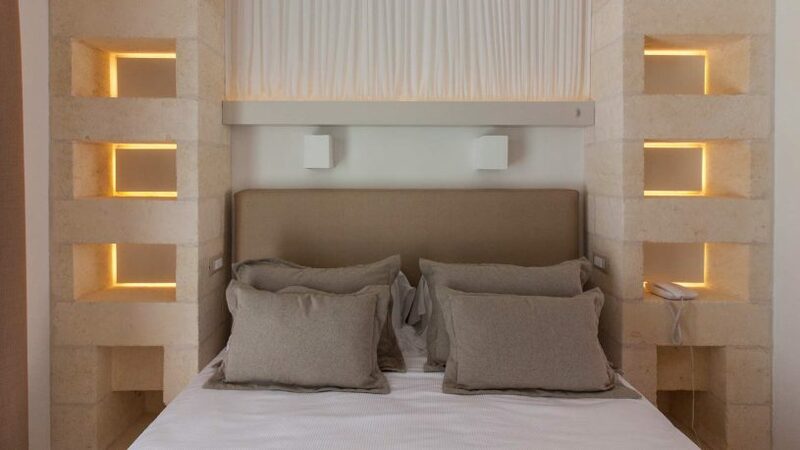 Every room affords a spectacular view: the magnificent countryside and the spectacular sea of Santa Maria di Leuca will take your breath away. Your stay will turn into a magical experience: the sounds of nature will ensure you quiet moments of pure relaxation. Careful attention has been paid to details, to create a unique place for our guests: snow-white walls, aquamarine doors and windows, floor made of Trani Stone, beds covered with a fireproof fabric that recalls linen, limestone sofas with comfortable pillows, wooden furniture produced by a handicraft business, cotton linens and stone bathrooms with large showers. Every room offers all comforts, including independent air conditioning, safe, mini-bar, Sat TV channels (including Sky) and free Wi-Fi connection. In the garden are peculiar pergolas with limestone columns and cane roofs. The Montiró Hotel has an inimitable style: its elegance and simplicity perfectly fit the rural atmosphere of the area. 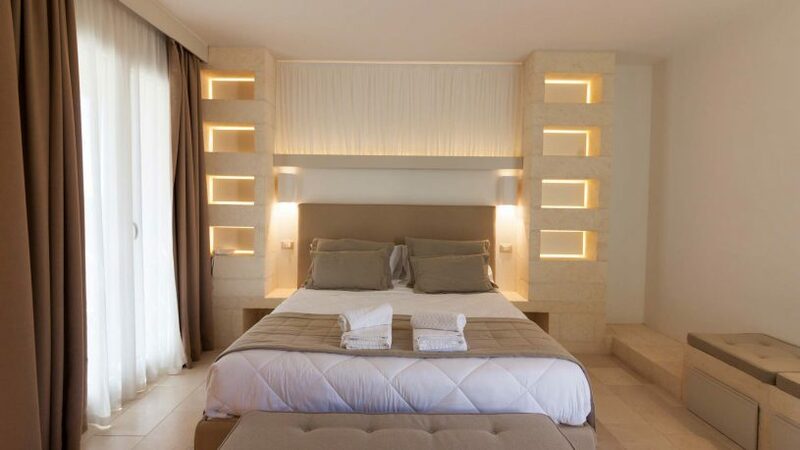 It is undoubtedly one of the most beautiful luxury hotels in the south of Puglia.